The toughest decision you’ll make while you’re in South Padre Island will be what you’re going to do during each day of your vacation. Surrounded by beautiful scenery that’s teeming with wildlife, the area is a virtual paradise just waiting to be explored. Read on to see just a few of the many things to do in South Padre Island. It’s a no-brainer! 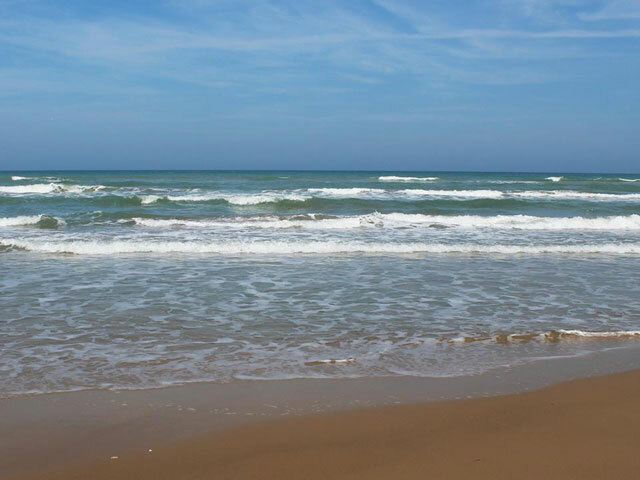 South Padre Island boasts pristine shorelines and emerald blue waters welcoming you to soak up the sun, throw a Frisbee, go for a run, or build a sandcastle in the sand. Hit the waters on South Padre Island for any or all of the Island’s thrilling wind and watersport activities. With favorable winds and a shallow bay, the Laguna Madre Bay is the perfect place to try your hand at kiteboarding or windsurfing. Try diving, snorkeling, jet skiing, fly boarding, surfing, and other excursions with the Island’s many rental and outfitter companies. Let’s be honest, who doesn’t love dolphins? Book a tour excursion to get out on the water for a closer look. Venturing out with the folks from The Original Dolphin Watch for spotting bottlenose and spinner dolphins and hearing some interesting dolphin facts from the guides. In addition to offering its own dolphin tours, the South Padre Island Dolphin Research & Sea Life Nature Center is a great place for kids and adults to get hands-on with rescued sea life and other animals, including a giant tortoise, iguanas, starfish, crabs, octopi, and more. With South Padre being the “Sandcastle Capital of the World,” it’s only fitting that you build at least one fortress while you’re here. Not the artsy type? Not to worry, the experts at Sandcastle Lessons give you the tools and training you need to create a Christmas card photo-worthy work of art. Yet the best part of building a sandcastle in South Padre is that you’ll be just a few feet away from the crystal clear waters of the Gulf of Mexico. Thanks to the presence of the Lower Laguna Madre - one of six hyper-saline bodies of water in the world - South Padre is a celebrated destination for saltwater anglers due to its abundance of sea life. Dozens of guides conduct half- and full-day inshore and offshore fishing trips for everything from speckled trout to trophy marlin. To keep your feet on solid ground, visit the Queen Isabella State Fishing Pier, where you can drop a line near a snack stand and a bathroom. Hit the links and book a tee time at South Padre Island Golf Club. With 18 holes boasting picturesque Bay views and a layout that factors in the sea breeze, you’ve got one of the best courses in the Rio Grande Valley. Although each hole features a variety of tee boxes to accommodate your skill level, you may still want to hit a few balls on the practice range before your round. Once you’re done, retreat to the Oak Tree Grill to hash out the finer details of the day’s play with friends over a cool drink. Schlitterbahn South Padre Island is one of the top-rated attractions on South Padre Island, with 25 acres of thrilling rides, relaxing rivers and pools, artificial beaches, and delicious refreshments. Soar on the uphill water Coaster Storm Chaser, then float down Rio Aventura on your way to Bob’s Float-in Bar, a soothing hot tub and swim-up bar with cool drinks and ample shade. Stay at the Schlitterbahn Beach Resort and you’ll receive discounts on amazing activities like skydiving, parasailing, horseback riding, and high-speed boat rides.